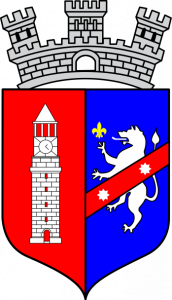 Berlin, November 22, 2018 – The Document Foundation (TDF) announces that the Municipality of Tirana, the biggest in Albania, is moving to open source software and open standards by migrating to LibreOffice. The project is a further step in a large deployment of open source technologies in the city’s IT infrastructure, and follows the successful migration to Nextcloud. The migration to LibreOffice is managed by the ICT Department, which has been following an open source approach when implementing many IT solutions, based on the strong belief that public IT infrastructure should use free and open source technologies (https://publiccode.eu). Thanks to LibreOffice, documents can now be exchanged and stored in the ISO standard Open Document Format, managed by OASIS, which represents the best solution to avoid proprietary lock-in. Ermir Puka, the head of the ICT Department, believes that despite the resistance to change and the other big challenges facing the migration, using free and open source software and platforms like LibreOffice – supporting open standards – will guide the IT infrastructure of the municipality in the best interest of the citizens of Tirana. The migration project has started with the HR Department, where most tasks are based on documents and spreadsheets. This has helped to identify many different issues during and after the migration, and has helped the process in other offices of the Municipality. The majority of the 1,000 desktops in the Municipality of Tirana have already been migrated to LibreOffice. To further ease the migration, LibreOffice Writer and Calc manuals have been translated into Albanian, while the IT staff is working at an online learning course deployed on Moodle, the e-learning platform used by the Municipality. Activities are enthusiastically assisted by the local open source community, which gathers around Open Labs. Great news! All public offices should use standardized file formats to avoid paying for unnecessary software licence fees, just to keep access to their files. Also, and more importantly, using standards and free software keeps control over the data.